Well we have, what we think is the BEST lashing tool around. Sorry, the Micro EZ Lashers are no longer available. All you do is insert the end of your lasher into the end and lash your basket just like you are sewing!! 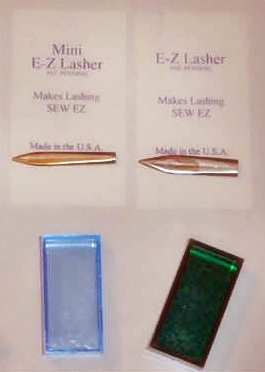 EZ Lasher for larger lashing up to 1/4"